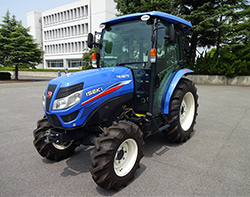 TG6000 series tractor is wide range of variation for 36 to 65 horsepower. 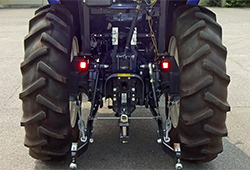 For multiple application, cabin, center ROPS and rear ROPS are selectable. 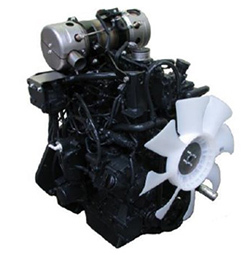 All engine have enough displacement which give stable power under severe working condition. 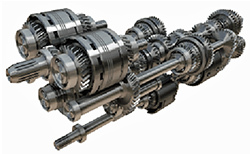 Depending on purpose of customer, 3 types of transmission are available. Main gear has fully synchronize 4 speeds and sub gear has 3 ranges. Main gears has 8 speeds and sub gear has 3 ranges. Automatic shifting and on demand 4WD are available. Cruise and response control are equipped and sub gear has 3 ranges. Economy PTO and 2 modes engagement function are standard for all version. Lifting capacity of 3-point linkage are strong around 1300 to 1700kg depending on version. 2 banks aux. hydraulic valves (selectable single or double acting) are equipped as standard. Wide full-flat floor and thick rubber floor mat provide comfortable space for operator. Four points floating rubber insulators minimize vibration for whole platform. Quiet air-conditioned cabin version is available. 72 and 60 inches mid-mount mower deck can be fitted TG6405 and TG6375.